On Thursday 21 October Nick Poole and I set off on an adventure meeting with museums and galleries around NZ. 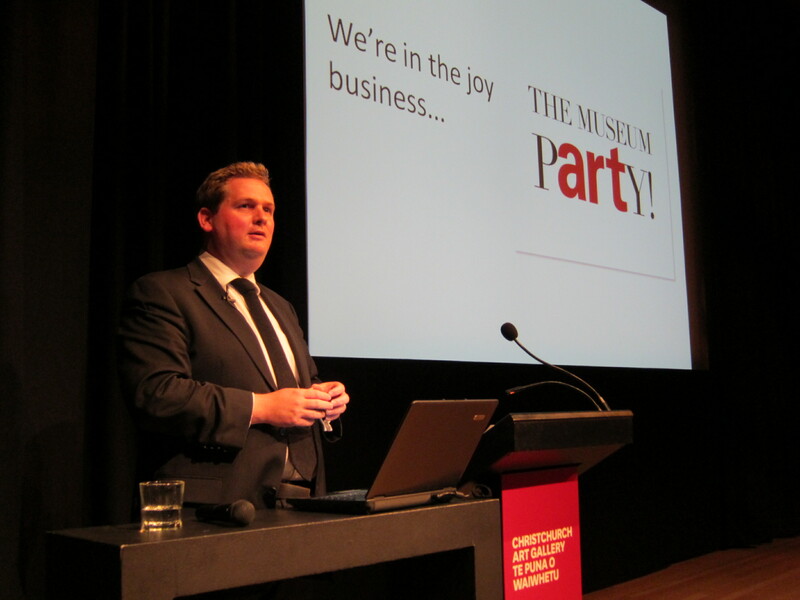 Nick is the Chief Executive of the Collections Trust in the UK and was a keynote speaker at the National Digital Forum Conference, 18–19 October at Te Papa. National Services Te Paerangi sponsored Nick and then hosted him on a tour so our colleagues could meet Nick and be wowed by his enthusiasm and love of museums, their collections and their people – it was contagious! The tour consisted of four days of morning workshops with museums and afternoon talks for sector folk and interested public. Nick’s talk, ‘United we stand: opportunities for museums worldwide’ is something I plan to listen to whenever I get bogged down with work and need a passion-boost! In case you missed the talk or want to re-visit the awesomeness here is the audio from the Wellington and Christchurch talks My favourite parts from Nick’s talks. What is your strategic purpose? Does what you’re doing help you reach it? Constantly ask yourself this! Blurring the edges of your collection policy has to be the exception not the rule. We’re closed when people are open – other sorts of entertainment offer fun from 5pm and that’s when we’re closed. Take the museum to the people – take some collections and tell stories in a retail space where there’s lots of foot traffic. If someone isn’t interested in coming to your museum or gallery, they’re certainly not going to visit your website. You need to put your collections where the people are online. Adding your collections to Flickr or something like NZMuseums or DigitalNZ makes more sense and is cheaper! Make your content discoverable. Research shows when you show people collections on a museum’s website they don’t know what to do with it. Students and researchers are a small audience and shouldn’t be the reason you’re digitising your collection. Often with large digitisation projects, breadth distracts from depth. Why not spend more money on marketing and reach than digitising your whole collection? Get more people into the museum! Don’t forget to celebrate the position you’re in. You have the ability to be more nimble than larger organisations. You can play with ideas and take more risks. Time to be a tourist/museum geek! We also managed to squeeze in a bit of time at each stop to check out the current exhibitions. 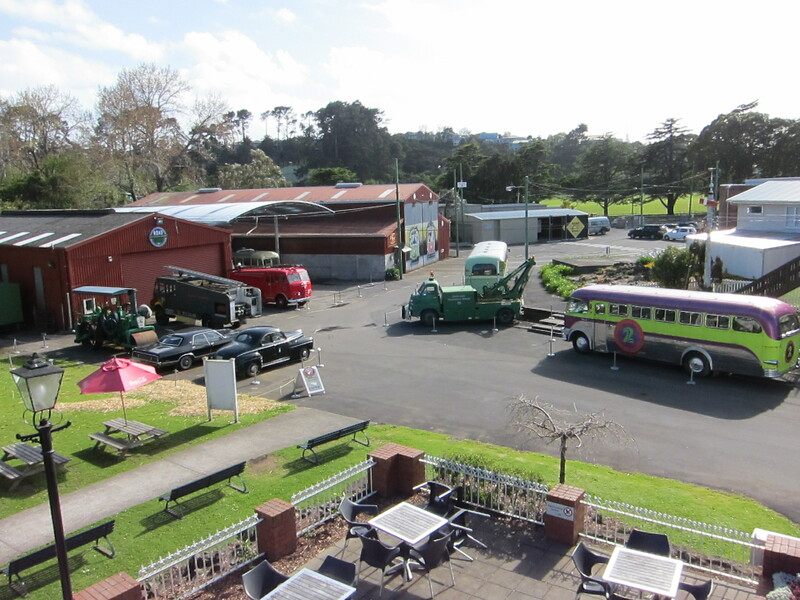 It was a stunning day in Auckland when we were at the Museum of Transport and Technology. This is the view from Cropper House. 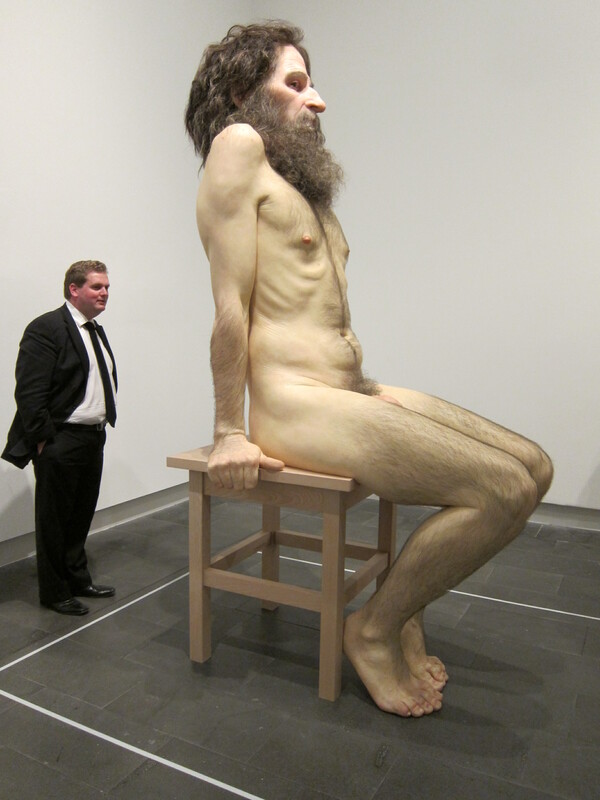 We were very fortunate to be in Christchurch when Ron Mueck’s astounding sculptures were also in town. 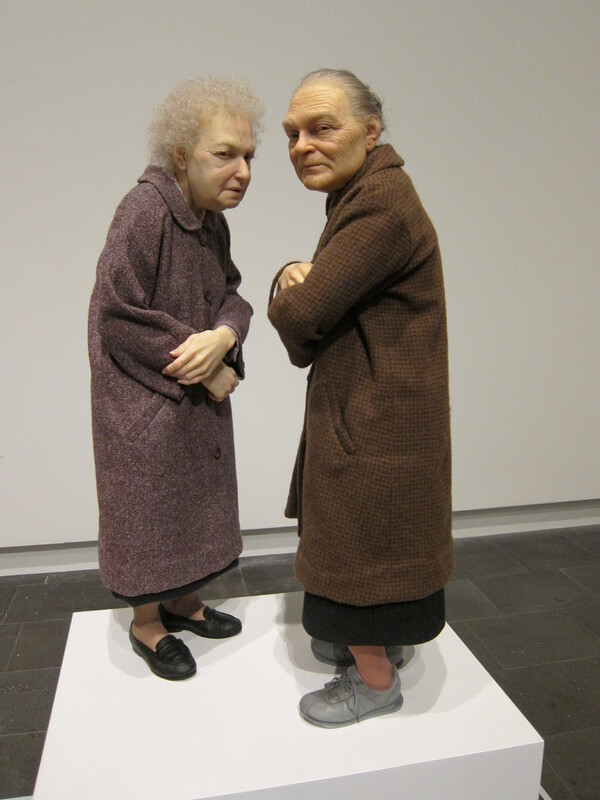 Director, Jenny Harper spent some time showing us around Blue Planet, Brought to Light: A New View of the Collection and Ron Mueck. 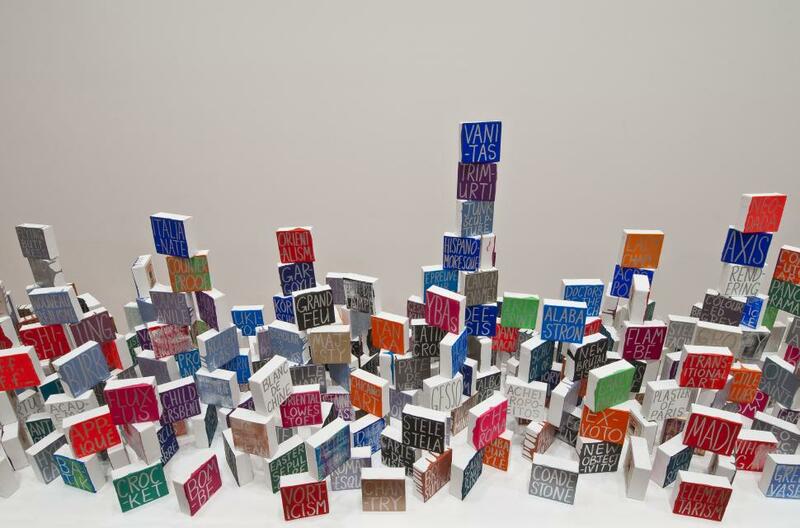 In Brought to Light Jenny explained how the John Reynolds work Table of Dynasties 2009 (below) became the Gallery’s own richter scale during the earthquake! When it reached a certain number the work would be disturbed, otherwise it didn’t move at all. 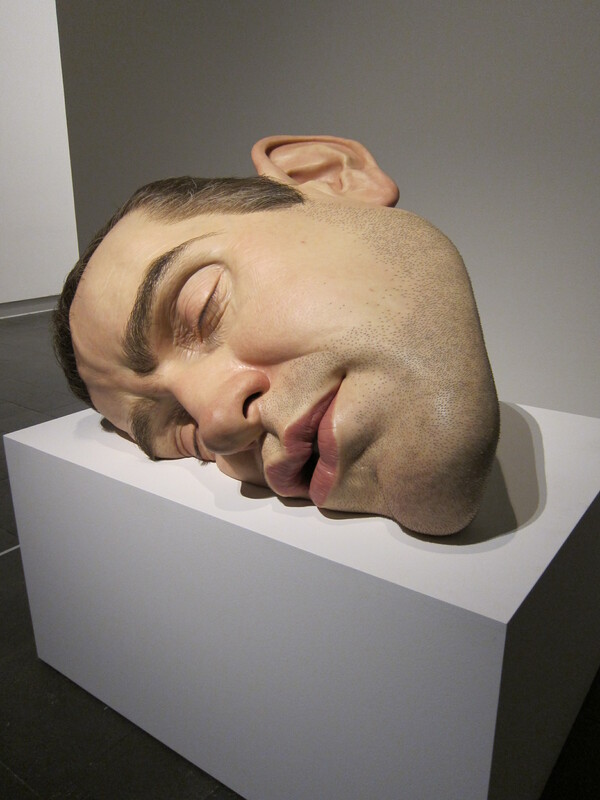 Here are a series of photos I took at the Ron Mueck show – yes, you can take photos (no flash of course) – hooray! This is Nick inspecting a pimple on the back of Wild man. In Dunedin after a rather cheek-numbing walk along St.Clair beach our first stop was Otago Settlers Museum. They’re currently going through a major redevelopment and are reopening in late 2012, so the timing for a workshop was spot on. Then it was onto Dunedin Public Art Gallery for the public talk. Here Tim Pollock, the marketing manager showed us around and I was very taken by this piece by John Ward Knox titled ush. 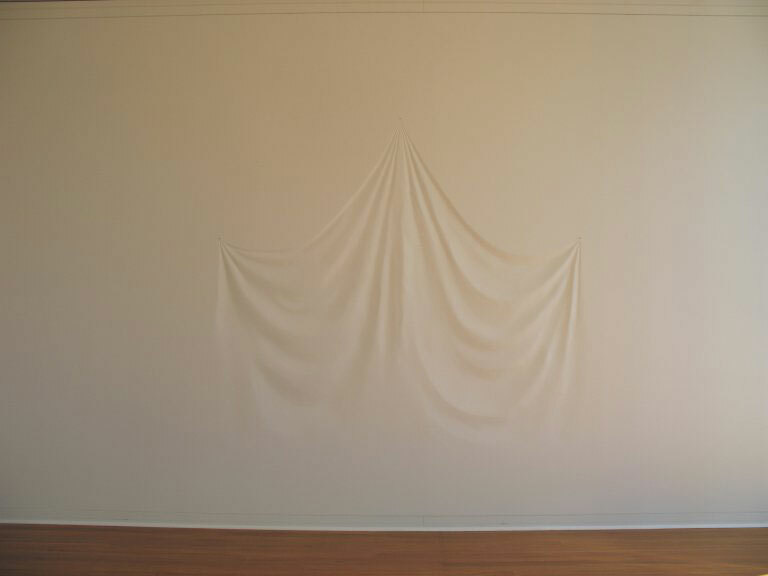 This is actually carved out of the gallery wall! After the Dunedin talk we journeyed up the hill for a quick tour of Olveston and then out to the Dunedin airport to say our goodbyes. The trip was fantastic and the feedback from museums and galleries that met Nick has been really positive. Everyone’s asking when he will be back!